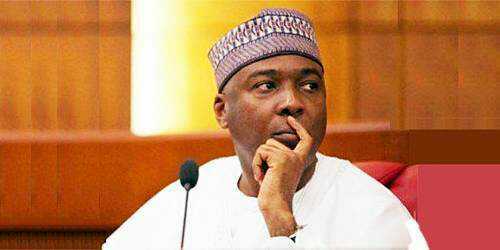 Kwara Must Change on Sunday, 3rd June 2018 read the news of invitation of Senate President, Bukola Saraki by the Nigeria Police Force over the tragic Offa Bank Robbery incident with utmost surprise and curiosity and we encourage all Nigerian to follow the police investigation with all sense of responsibility, devoid of any political sentiments. This is very important because, the tragic invasion of Offa community in Offa local government area of Kwara State in April 2018, which claimed over 33 innocent lives must not be confused with politics and the police report on such a scary development must be monitored very objectively. According to the report credited to police Spokesperson Jimoh Moshood, Saraki was invited after he was mentioned by five of the suspected armed robbers, who confessed to being part of the robbery gang that operated in Offa and killed over 33 people. The police claimed that five gang leaders indicted Mr. Saraki after they confessed that they were political thugs of the Senate President and the Governor of Kwara State, Abdulfatah Ahmed under the name Youth Liberation Movement a.k.a “Good Boys” and were sponsored with firearms, money and operational vehicles. Kwara Must Change wishes to state very clearly that, we are still watching the development and would react properly after more information is revealed. However, we urge all Nigerians to be cautious and resist the temptation of wanting to politicize an important matter like the Offa robbery incident.